Dr. Bracy and our entire team are passionate about delivering the highest quality dentistry and personalized patient care. We help patients in Chelsea and the West Village smile with confidence with modern cosmetic dentistry. We have reinvented dental care at our office, and the difference is you. Patient-centered care is our mission. With convenient financing options and a centralized practice location, your dental appointments have never been easier. We offer an in-house dental plan. Dr. Bracy graduated from Georgetown University with a Bachelors of Arts Degree in Economics. He completed his Postbaccalaureate Premedical Certificate at New York University and went on to earn his Doctorate of Dental Surgery degree from Stony Brook University School of Dental Medicine, and was inducted into the Omicron Kappa Upsilon Dental Honor Society upon graduation. 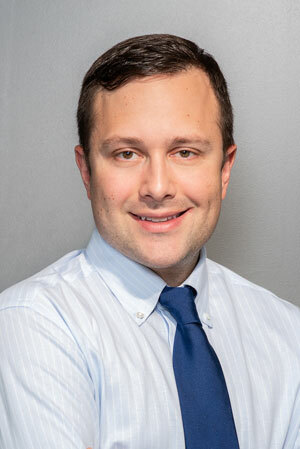 For his postdoctoral residency training, he completed the General Practice Residency at the Manhattan Veterans Affairs Hospital. We are delighted to welcome you to our new office, which was renovated in 2018. 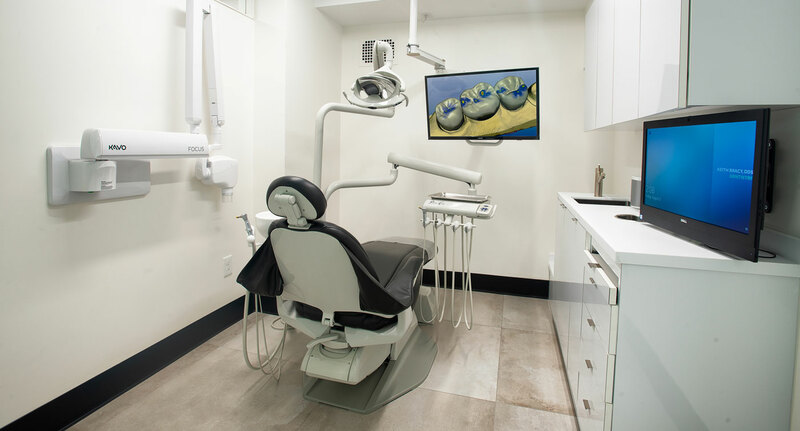 The practice features brand new state-of-the-art equipment and the latest technologies.Some practice highlights include the 3M True Definition Intraoral scanner and Cliosoft digital x-rays. 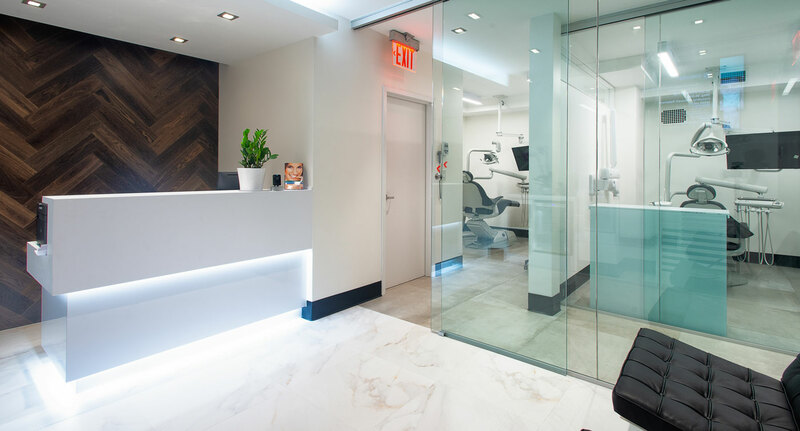 The practice space is modern, clean, and comfortable, and is designed to be an oasis for busy New Yorkers.We have added many amenities to make you feel at home including free WiFi, Nespresso and bottled water station, Sonos sound system, and 32" Smart TVs to entertain you during your dental treatment. 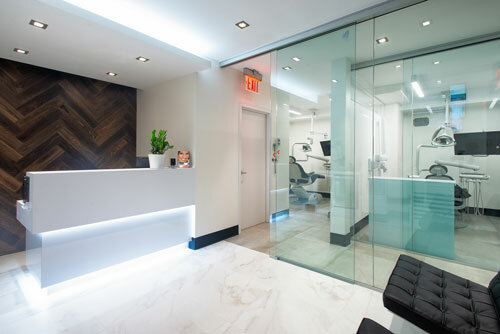 We are excited to offer many cosmetic and general dental procedures in our West Village Dental office. We utilize the highest quality dental materials, labs, and instruments to ensure healthy, beautiful smiles. 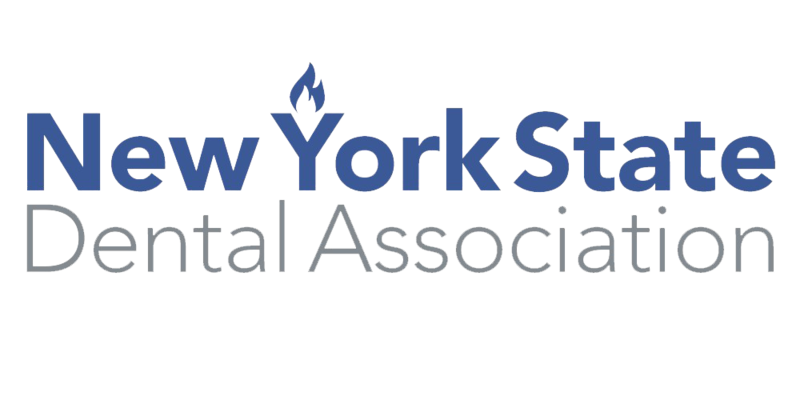 Keith Bracy, DDS, PLLC offers the full range of comprehensive general, cosmetic, and implant treatments in the heart of the West Village. Dental care is provided in a boutique type of setting with a focus on personalized attention. We take pride in being a growing, independent dental office that treats patients like family. We see patients on time and never rush your dental care. We understand that you have a choice in dental care providers and do our best to offer the finest in oral health care. Our modern, clean space will make you feel safe and relaxed. You can trust your smile is being pampered with our new dental equipment including the Parkell TurboVue ultrasonic scaling system to clean your teeth, 3M TrueDefinition scanner for the most accurate digital impressions, and the Cliosoft digital imaging suite to ensure highly diagnostic x-rays with the lowest radiation possible. Dr. Bracy offers straight-forward, honest dental advice to ensure you have healthy teeth and gums for a lifetime. At Keith Bracy DDS PLLC, we will tailor our services to meet your unique treatment goals and take the time to understand your situation. 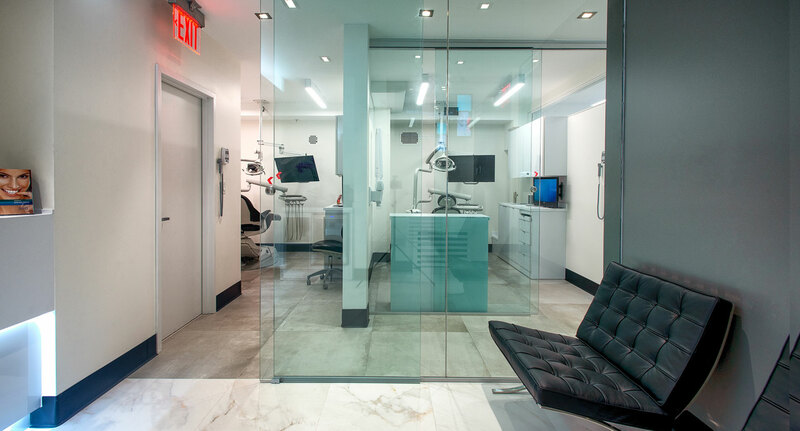 When you book an appointment at our West Village practice, the time is reserved solely for you and no one else. We are non-contracted with your dental insurance, this means we work only for you. This allows us to give you a dental experience focused on quality, with ample time to develop a trusting relationship with your dentist and dental hygienist. We are constantly investing in new dental technologies and ways to make your visit more comfortable. We know when you visit our newly built office, you’ll see the difference as soon as you walk in! Come see our new Chelsea office today by scheduling an appointment through our website or by calling (212) 390-8399. Find out more about our in-house dental office plan.